The last of murals INTI made to the Mural-Istanbul Festival in Kadikoy, a party supporting the turkish people. 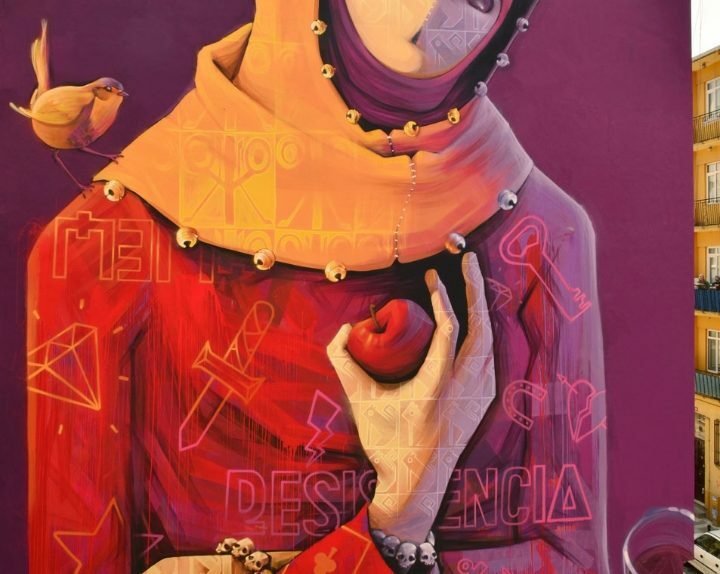 Beautiful warm colors and vivid in this piece, and the subtle message of resistance. LIBRE HEM, a new mural in Tijuana for "Pintemos Mexico"
The artist Libre Hem, A native of Tijuana, participated once again in the program "Pintemos Mexico" with the help of Spel, Kafy, Dual, Crew HEM and Skof, another local artist. 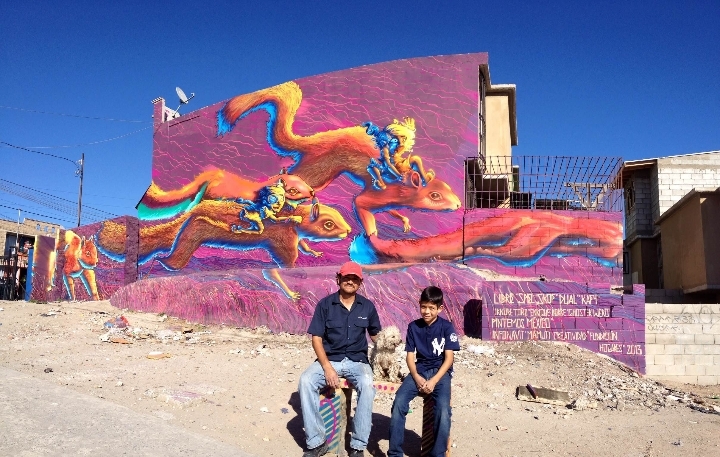 After working in the city of La Paz on the Baja Peninsula of Mexico, as part of the arts program "Pintemos Mexico" by INFONAVIT, the artist Libre Gutierrez (Assisted by Kafy) held several workshops to people living in the district Solidaridad, which provide for the basic use of spray paint and construction of benches for public spaces using empty cans. 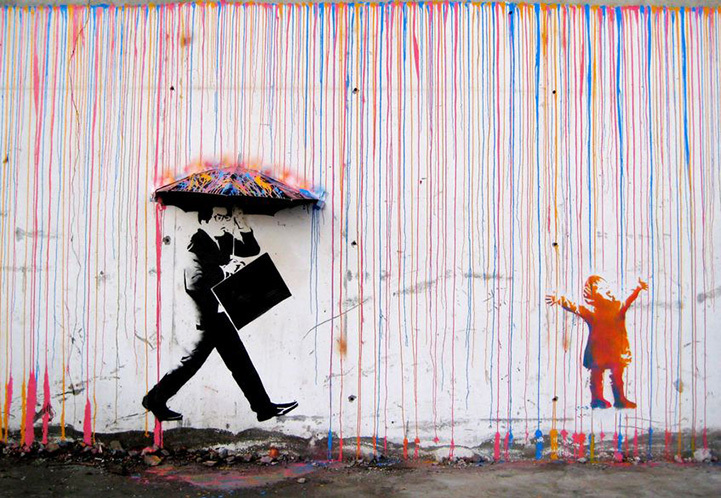 Two walls were painted to create the murals "Cycle Guaycura"
In 2009, Skurktur, a small design collective based in Trondheim, Norway, realizes CMYK: A colorful rain hits a grown man and a child, resulting in them completely different reactions. 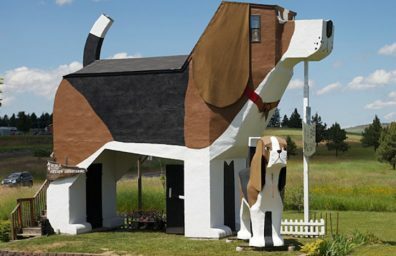 Idea! 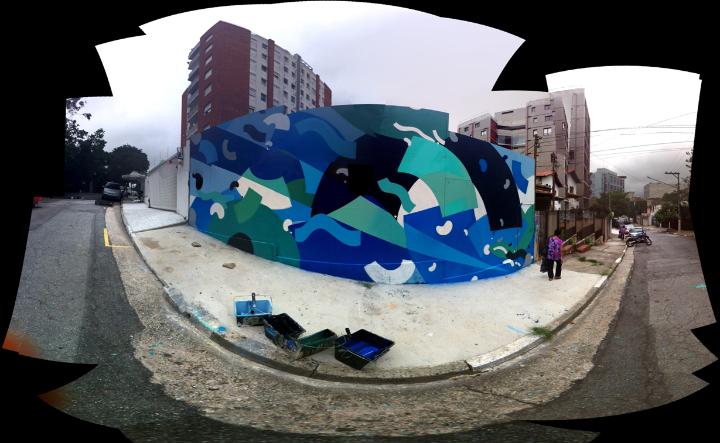 Zarvos presents an innovative project, in collaboration with artists Coletivo Rua e Choque Cultural, To highlight the cultural richness of the Vila Madalena district, located in the western part of the city of São Paulo, offering visitors and residents a new form of artistic expression. DuDug It is a collective of international street art which used the carcass of an abandoned ship on the Llanerch-y-Mor beach in north Wales, as a large canvas for graffiti art project called The Black Duke. 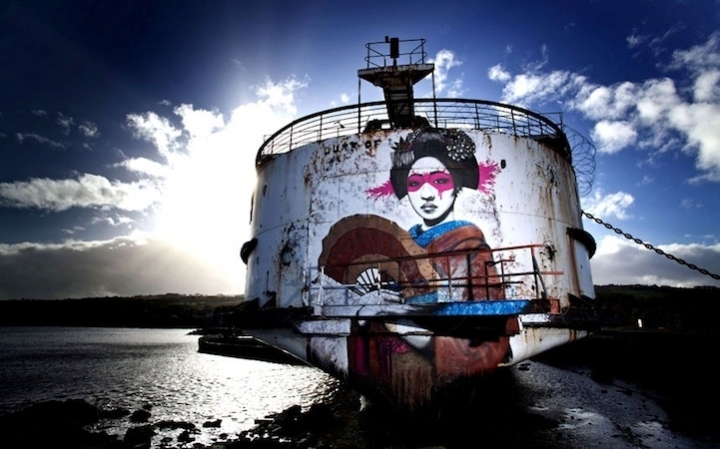 The once very famous cruise ship known as the Duke of Lancaster has been left to rust in a dry dock from the 1979 and only at the end of last year she was approached and transformed by this group of artists.